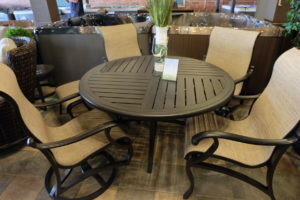 Find the perfect patio furniture, designed to fit both your lifestyle and your backyard environment. 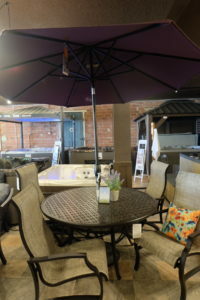 Come in to see the largest selection of quality patio furniture in Southern Alberta. 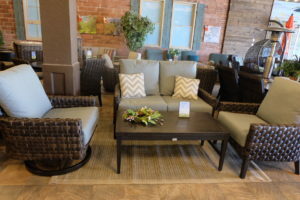 Our stock includes Deep Seating Collections, Sling and Cushion Sets, Outdoor Sofas, Cast Aluminum Tables and Chairs, Wicker, Fire Pit Tables, Furniture Covers, and more! 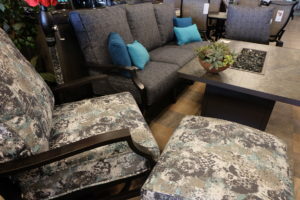 Check out some of our in store collections! 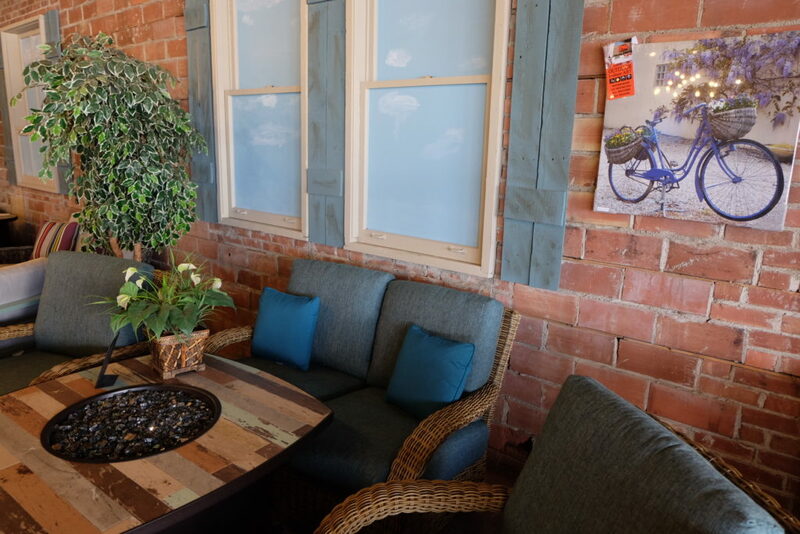 How to Enjoy your Patio Season to the Fullest! This winter has felt like an eternity! Take a few minutes on a sunny afternoon to give your deck or patio a facelift. Clear the cobwebs, sweep off the dirt and hose down any debris. 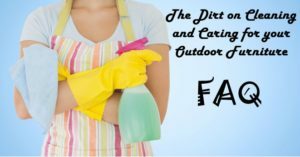 Uncover your patio furniture, or wash it down with some warm water and mild soap. Starting with a clean slate is the first step to making your patio dreams come true! Patio lights are all the rage (for good reason!) Stringing some lights across the patio will not only create some light when the sun goes down, they also set the mood for a relaxing evening outside. 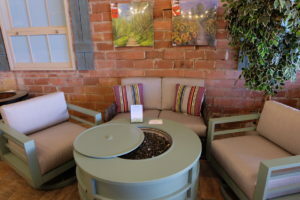 Looking for an affordable way to change the look of your outdoor space? 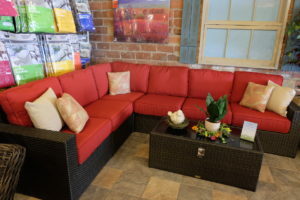 Toss cushions can add a pop of color to your patio set and are easy and affordable to change up. Try some classic solid colors, some fun patterns, multi-colored florals or mix and match them all. Adding some throw blankets to your outdoor living area is a great way to create a cozy atmosphere while layering different textures and giving dimension to your space. Blankets are also super practical for the cool summer nights around your firepit table. Small details like adding flower pots and greenery can help finish off your space. Adding some color and freshness will leave your guests feeling relaxed and refreshed. Does your patio furniture need upgrading? Come see us at Beachcomber Hot Tubs, Pool & Patio! 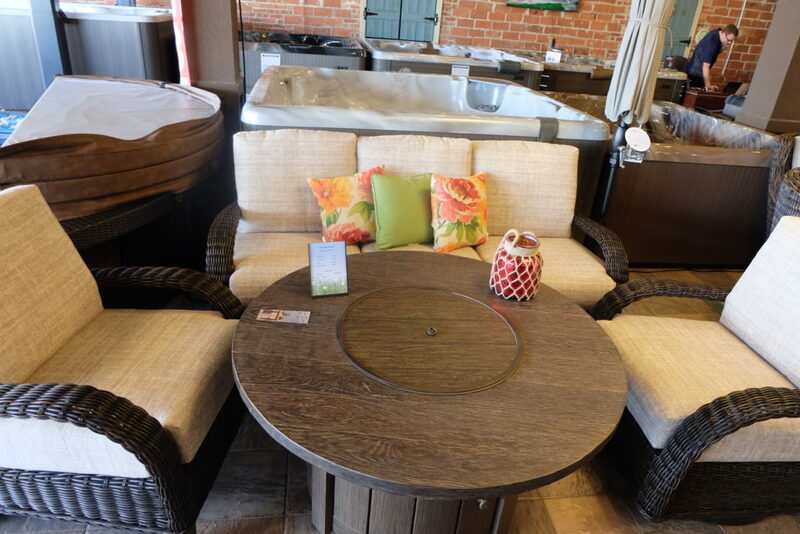 We would be happy to design the perfect patio oasis for you. 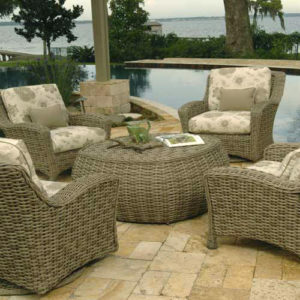 Ebel uses only the best resin material on all their hand woven wicker pieces. The wicker won’t discolor, fade or chalk. This means that it’s tested for the harshest weather conditions. Patio furniture sold at box stores are UV tested for 500 hours…Ebel is tested for 5000 hours. That’s a difference of 4,500 hours! Ebel offers 15 years warranty on the structure of the frames and 5 years on the finish. Our furniture has no weight restrictions thanks to the extremely thick gauge of metal used on all frames. 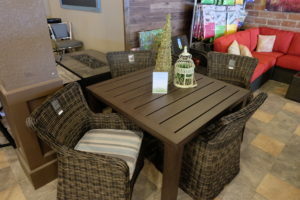 Outdoor furniture that does not rust! Go ahead and leave your aluminum frames out all year round! The frames are made with full circle welding on all the joints. That means there is no way for water or precipitation to make its way into the frames. No holes mean no rust. The cushions are made with 5 inches of solid foam. The foam core is wrapped in Dacron and a waterproof lining. The cushions are meant to be used and enjoyed, so if you are at work when a rainstorm hits, don’t worry. Tip your cushion on their side and they’ll be ready to use in a few hours. No mildew, no mold, no problem. Did you know there is a difference between the Sunbrella material we use on our cushions and the cushions they sell at box stores? Our material is carefully solution dyed, not topically dyed so there is no fading in the hot summer sun. Bird pooped on your furniture? Spilled red wine? Sticky fingers or spilled mustard or ketchup? Don’t panic, just use warm soapy water with a non abrasive brush and scrub away. If that doesn’t work, Sunbrella has an amazing stain chart to help you get your cushions looking brand new again. Ebel’s design team is always busy coming up with pieces that are stylish and unique but that doesn’t mean they sacrifice comfort. Get the best of both worlds as you put your feet up and melt in to your new patio furniture this summer! 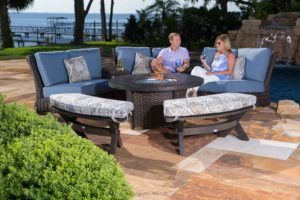 Whether you’ve already purchased your furniture or are still in the process of deciding what collections to purchase, questions often asked are “how well will it stand up?” or “how do I properly care for it?” You’ll want to check out this great article, The Dirt on Cleaning and Caring for your Outdoor Furniture.